Ixtapa- Zihuatanejo is a Pacific paradise of beautiful beaches, friendly people and an easygoing lifestyle. It’s nestled between the Sierra Madre Mountains and the Pacific Ocean on a beautiful stretch of Mexican coastline called the “Costa Grande” just 240 km north of Acapulco. Zihuatanejo (Zee-wah-tah-NAE-ho), or Zihua as it’s affectionately called, is an interesting symbiosis between modern convenience and a traditional Mexican fishing village – the narrow cobblestone streets of downtown hide wonderful local restaurants, bars, stores and artisan studios, the fishermen exposing their catch of the day on the main beach in the mornings, and a modern town with access to luxury hotels, a wide variety of shopping in boutiques, international gourmet cuisine, art galleries, SPA’s and modern convenient stores. Until the 1970s, Zihua was a sleepy fishing village that few had discovered but this quickly changed over the next few decades, and by the time Tim Robbins and Morgan Freeman escaped here to live out the simple life in the movie The Shawshank Redemption (1994), Zihua had become a known tourist town that welcomes tourists from all over the world. 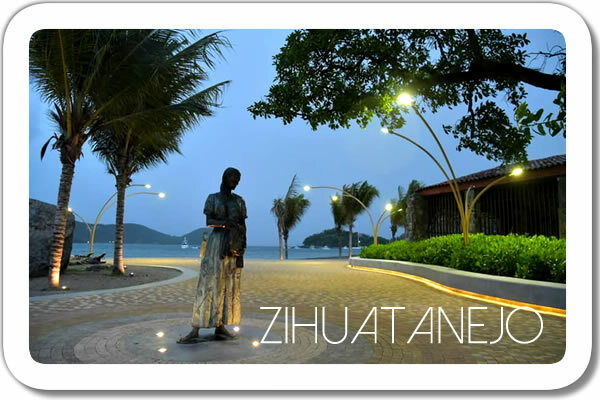 The sister city of Zihuatanejo, Ixtapa (eeks-TAH-pah), could not be more radically different and is a counter-balance to Zihuatanejo’s quaint fishing village roots. 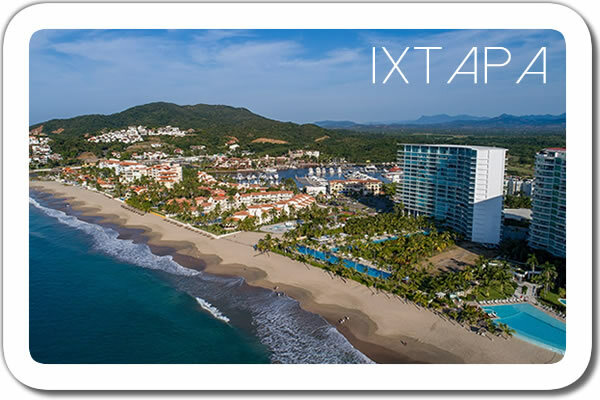 Ixtapa is openly a purpose-built tourist resort town with several shopping centers containing classy shops, boutiques, restaurants, bars and disco’s. The high-rise hotels line runs along most of the beach with the commercial area just a block behind the beach front. Modern, peaceful neighborhoods extend behind the shopping centers and back from the hotel zone.There are two golf courses and a modern marina in the outskirts of the commercial and hotel areas. Ixtapa-Zihuatanejo is ranked second in the world for sail fishing and offer water sports like; prime surf spots within an hours’ drive, Scuba Diving on local coral reefs, SUP and kayaking just to mention a few. Beyond Ixtapa-Zihuatanejo, there are several small beachside communities including Troncones, Manzanillo and Saladita to the north and Playa Larga, Playa Blanca and Barra de Potosi to the south.